A bouquet of white flowers. The Jardins de Bagatelle are gardens situated on the Bois de Boulogne in Paris and contain over 700 different varieties of rose. There are 32 reviews of Jardins de Bagatelle. Dominant tuberose. Also on top, aldehydes, jasmine, and some citrus. JdB has always started out big and bold IMO. It is a loud floral. The middle reveals gardenia, lily of the valley, rose, and narcissus. Tuberose of course, still stands out tremendously. Greenish, starchiness a bit later, underneath. The base reveals patchouli, musk, and Neroli. Yes, tuberose lasts throughout. And if you don't like "tubey" you won't like this. 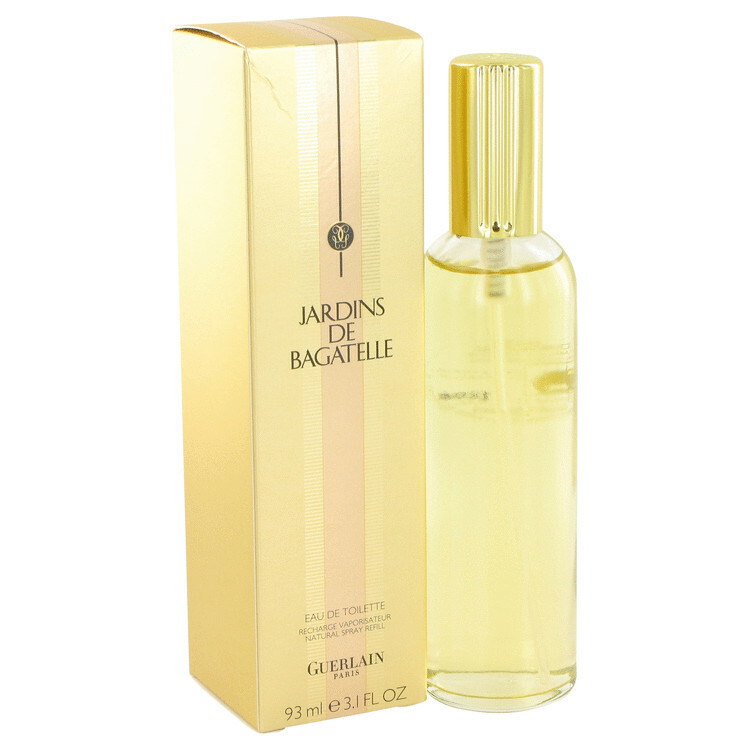 Finding an almost empty bottle of Jardins de Bagatelle in my mom's house reminded me how much I loved and enjoyed this scent in my youth. Reminds me of walking through Regents Parks in the rose garden and area of Kew Gardens through all the flowers. Vivid yet soft florals that bring a quiet smile to my face every time I wear this one. This is an impressive, complex perfume, that does seem to rely on synthetic aroma chemicals that give it a dryer sheet aspect after some development, but it has on overall complexity and attraction that I like. It takes me vividly back to childhood from around the time it was released. Opens with a strong smell of alcohol that quickly mellows into something extremely floral and very sharp. There is a lot of depth to this fragrence; a lot of difference flowers coming at you. In the air the scent is fresh and light and coy. On the skin it's a riot, like a bouquet pushed into your face. It's extremely feminine, and very 80s. Very loud. I find the opening of Jardins de Bagatelle similar to Jasmin Impératrice Eugénie - big and beautiful. 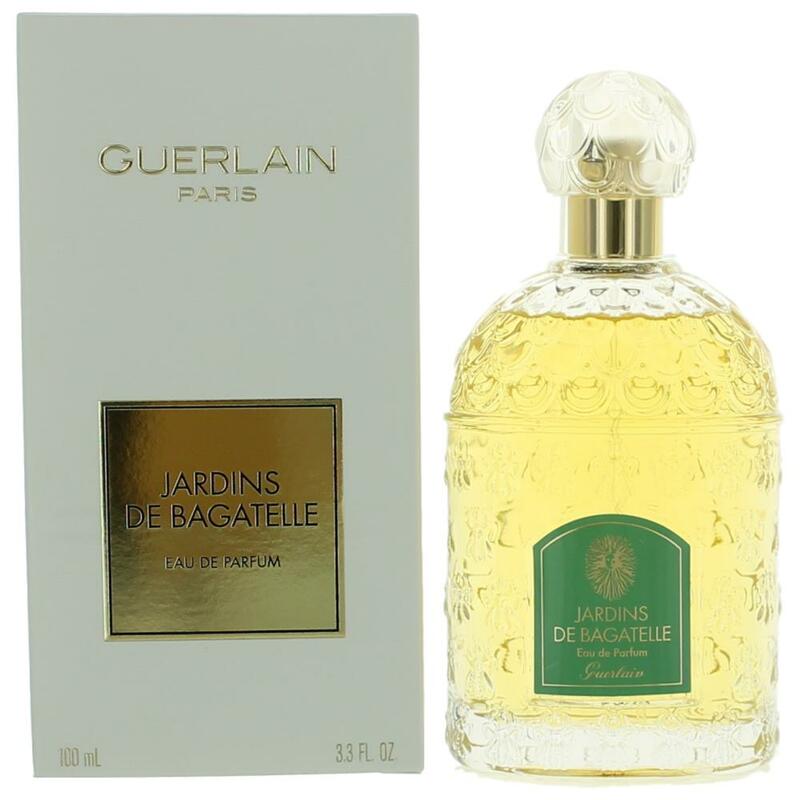 I adore how Jasmin Impératrice Eugénie develops on my skin about half an hour in but I find Jardins de Bagatelle continues on too long, loud and bold to wear out of the house much. Guerlain have changed the packaging of many of their scents and many mens aftershaves. The normal packaging has been changed from the glass square art deco bottle to a rounded shape but the dreadful thing is the scent has been changed and is unrecognisable. Why don't they change the name as I have had to buy two bottles and only when I opened did I find the "smell" has changed and it is not pleaant. 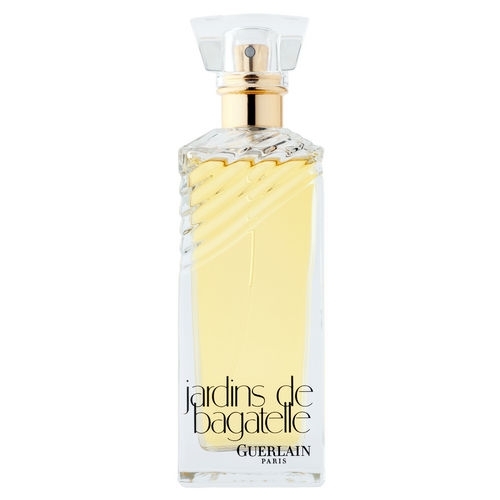 Jardins De Bagatelle EDT Spray 3.4 Oz.By Guerlain.